Just six minutes’ cycle is Southwark Park, a vast green space in the inner city surrounds, while the River Thames is just 4 minutes away, with the picturesque cycle route into central London passing Canary Wharf, Tower Bridge and beyond. Greenwich Park has some of the best views of London’s impressive skyline, as well as a deer park and orchard garden - at just 15 minutes from Quebec Quarter, the 183 acre green space is ideally placed for weekend visits. Though the steep incline to the National Maritime Museum is not to be undertaken lightly. Offering extra large storage cupboards within each home, specially designed for bike storage, Quebec Quarter also has additional secure areas to lock up and leave cycles in the underground car parks. With 151 properties in total, homes within Quebec Quarter come with contemporary kitchens, complete with smooth lacquered units and a plethora of integrated top-of-the-range AEG appliances. Pristine bathrooms have smart white sanitaryware by Roca and porcelain floor and wall tiles. Underfoot, floor finishes include high quality engineered flooring in Oak Animoso to living areas and entrance halls, with luxurious carpets in soothing soapstone in the bedrooms. The light-filled apartments, the majority of which are dual aspect, come with floor to ceiling windows, and each has an outside terrace or balcony. Upper level properties have spectacular views of the surrounding woodland and nearby Canary Wharf. Quebec Quarter is situated equidistant from Canada Water and Surrey Quays stations. Jubilee line services from Canada Water offer fast commuting times to stations in the city and the West End, including Canary Wharf (2 minutes), Waterloo (6 minutes) and Bond Street (12 minutes), with the night tube running on both Friday and Saturday. The area is set to become even better connected following the completion of the proposed Brunel Bridge in 2022 – a foot and cycle bridge connecting Canada Water with Canary Wharf, which has now gained support from The Mayor of London, Sadiq Khan. The increasingly vibrant area surrounding Canada Water Underground Station offers a number of popular independent shops, restaurant and cafes, as well as the iconic bronze aluminium-clad Canada Water Library. A short walk from Quebec Quarter is the Surrey Quays Shopping Centre, part of British Land’s Canada Water Masterplan, which will be undergoing a £34 million redevelopment over the next 5 years. 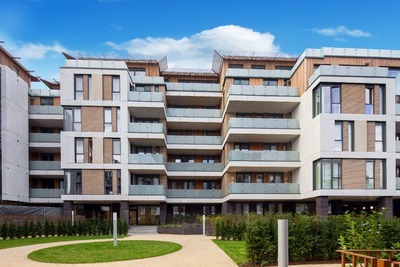 One bedroom apartments start at £485,000 available through London Help to Buy, two bedroom apartments from £640,000 and three bedroom apartments from £745,000. The marketing suite is open 7 days a week, Monday – Saturday 10am-5pm and Sunday 10am-4pm. Register your interest at quebecquarter.co.uk.